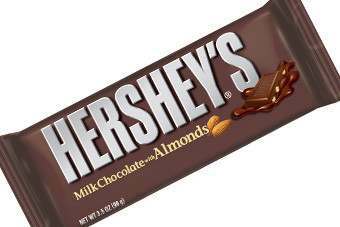 Hershey today (25 July) lifted its forecasts for earnings per share after what the US confectioner described as a "strong" second quarter. The Reese's maker booked a 17.6% increase in quarterly net income to US$159.5m for the three months to 30 June. Earnings per share-diluted was $0.70 a share, compared to a $0.59 a year ago. Its new forecast for reported earnings per share-diluted is $3.60-3.65, compared to its guidance in April of $3.52-3.58. On an adjusted basis, which excludes costs from restructuring and from pension costs, diluted EPS is expected to increase 14%. The company also said it now sees adjusted gross margins expanding by more than it had forecast after second-quarter sales grew more than it estimated and amid falling commodity prices. Consolidated net sales were up 6.7% at $1.51bn, ahead of forecast. 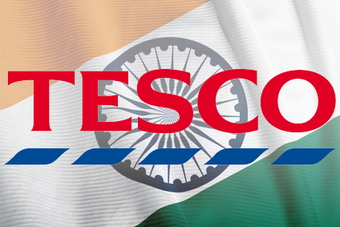 Volumes boosted sales by 6.6 points, helped by new products and growth from core brands in the US and internationally. The results included a one point gain from increased distribution from the Brookside business it acquired last year. The sales result prompted Hershey to provide a refreshed sales forecast. In April, it predicted a 5-7% increase in sales; it now sees sales rising by "about" 7%. The company plans to launch more products in the US, as well as Mais candy in Brazil and two more Hershey's-branded lines in China. 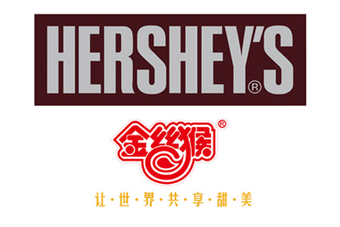 The Hershey Company (NYSE: HSY) today announced sales and earnings for the second quarter ended June 30, 2013. Consolidated net sales were $1,508,514,000 compared with $1,414,444,000 for the second quarter of 2012. Reported net income for the second quarter of 2013 was $159,504,000 or $0.70 per share-diluted, compared with$135,685,000 or $0.59 per share-diluted for the comparable period of 2012. As described in the Note below, for the second quarter of 2013, these results, prepared in accordance with U.S. generally accepted accounting principles (GAAP), included net pre-tax charges of $6.6 million or $0.02per share-diluted. These charges included $3.6 million or $0.01 per share-diluted related to the Project Next Century program, non-service-related pension expense (NSRPE) of $2.8 million or $0.01 per share-diluted, and acquisition and integration costs of $0.2 million. Reported gross margin of 47.6 percent increased 390 basis points versus last year, while reported income before interest and income taxes (EBIT) increased 21.0 percent, generating EBIT margin of 17.8 percent, an increase of 210 basis points versus 2012. For the second quarter of 2012, results included Project Next Century pre-tax charges of $19.0 million or $0.05per share-diluted, acquisition and integration costs of $1.3 million or$0.01 per share-diluted as well as NSRPE of $4.5 million or $0.01 per share-diluted. Adjusted net income, which excludes these net charges, was $163,607,000 or $0.72 per share-diluted in the second quarter of 2013, compared with $151,493,000 or $0.66 per share-diluted in the second quarter of 2012, an increase of 9.1 percent in adjusted earnings per share-diluted. For the first six months of 2013, consolidated net sales were$3,335,940,000 compared with $3,146,508,000 for the first six months of 2012. Reported net income for the first six months of 2013 was$401,410,000 or $1.77 per share-diluted compared with $334,336,000 or$1.46 per share-diluted, for the first six months of 2012. As described in the Note, for the first six months of 2013 and 2012, these results, prepared in accordance with GAAP, included net pre-tax charges of $17.2 million and $58.5 million or $0.04 and $0.16 per share-diluted, respectively. Charges associated with the Project Next Century program for the first six months in 2013 and 2012 were $10.6 million and $42.6 million or $0.03 and $0.12 per share-diluted, respectively. NSRPE for the first six months in 2013 and 2012 were $5.6 million and $8.7 million or$0.01 and $0.02 per share-diluted, respectively. Additionally, for the first six months in 2013, acquisition and integration costs were $1.0 millionand in 2012, $7.2 million or $0.02 per share-diluted, respectively. As described in the Note, adjusted net income for the first six months of 2013, which excludes these net charges, was $412,075,000 or $1.81 per share-diluted, compared with $371,403,000 or $1.62 per share-diluted in 2012, an increase of 11.7 percent in adjusted earnings per share-diluted. For the full year 2013, the Company expects reported earnings per share-diluted of $3.60 to $3.65. This projection, prepared in accordance with GAAP, assumes business realignment charges and NSRPE costs of$0.06 to $0.08 per share-diluted. Charges associated with the Project Next Century program are expected to be $0.03 to $0.05 per share-diluted, while NSRPE is expected to be $0.03 per share-diluted. Despite the impact of these charges in 2013, reported gross margin is expected to increase 300 to 310 basis points. Additionally, the Board of Directors of The Hershey Company declared a quarterly dividend of $0.485 on the Common Stock, an increase of$0.065 per share, and a dividend of $0.435 on the Class B Common Stock, an increase of $0.055 per share. The dividends are payableSeptember 13, 2013, to stockholders of record as of August 23, 2013. Hershey's second-quarter net sales increased 6.7 percent, slightly greater than forecast. Volume was a 6.6 point benefit in the quarter, driven by core brand growth and new products in U.S. and key international markets, including a contribution of approximately 1 point from Brookside distribution gains and on track repeat purchases. Foreign currency exchange rates was a 0.1 point benefit. Hershey’s U.S. candy, mint and gum (CMG) retail takeaway for the 24 weeks ended June 15, 2013, which along with the comparable period in 2012 encompasses each year’s entire Easter season results, was up 6.8 percent in the expanded all outlet combined plus convenience store channels (xAOC+C-store), which accounts for approximately 90 percent of the Company’s U.S. retail business. U.S. market share was up in every channel resulting in a market share gain of 1.4 points. This performance reflects solid market share gains across many core brands includingHershey’s, Reese’s, Kit Kat and Ice Breakers as well as Brookside. Second-quarter adjusted gross margin increased 290 basis points driven by lower commodity costs, supply chain productivity and cost savings initiatives, and favorable sales mix as well as fixed cost absorption from volume gains. Selling, marketing and administrative (SM&A) expenses, excluding advertising, increased about 12 percent in the second quarter, relatively in line with the Company’s forecast. Advertising expense increased 22 percent versus the year ago period supporting core brands and new product launches in both the U.S. and international markets. As a result, adjusted EBIT increased 11.5 percent generating adjusted EBIT margin of 18.3 percent, an 80 basis point increase versus last year. Additionally, as previously communicated, the tax rate in the second quarter of 35.7 percent was greater than the year ago period. We continue to expect the full-year tax rate to be about 35 percent. The Company expects full-year net sales to increase about 7 percent, including the impact of foreign currency exchange rates. Net sales will be driven by core brand volume growth, Brookside distribution gains and repeat purchases as well as innovation such as Kit Kat Minis, TwizzlersBites and Jolly Rancher Bites products in the U.S., Hershey’s Mais candy in Brazil, and the fourth-quarter launch of Hershey’s Kisses Deluxe andHershey’s Drops chocolates in China. Given year-to-date results, greater fixed cost volume absorption and overall input cost deflation, the Company now expects 2013 full-year adjusted gross margin expansion of 220 to 230 basis points. The annual increase in advertising expense remains the same and is expected to be up about 20 percent versus last year. For the full year, SM&A expenses, excluding advertising, are expected to increase at a rate greater than net sales growth. These investments will build on the marketing, selling and go-to-market capabilities established over the last few years. As a result, the Company anticipates 2013 adjusted earnings per share-diluted growth of around 14 percent versus a previous estimate of a 12 percent increase. “As we enter the third quarter, we’re well-positioned to gain market share for the year in the geographies where our resources are focused,” added Bilbrey. “We’re on track to deliver another record year of solid net sales growth and a double-digit percentage increase in earnings per share-diluted. We have marketplace momentum in all segments of our U.S. business – chocolate, non-chocolate, mints and gum – and have visibility into our innovation pipeline and key line items within the income statement. The earnings growth, as well as the Company’s continued focus on working capital, enables us to generate strong operating cash flow. Therefore, I’m pleased to announce an increase to our quarterly dividend,” Bilbrey concluded. 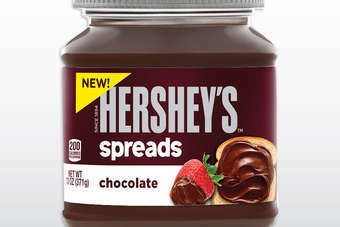 Note: In this release, Hershey references income measures that are not in accordance with U.S. generally accepted accounting principles (GAAP) because they exclude business realignment and impairment charges, business acquisition closing and integration costs and non-service-related pension costs (NSRPE). These non-GAAP financial measures are used in evaluating results of operations for internal purposes. These non-GAAP measures are not intended to replace the presentation of financial results in accordance with GAAP. Rather, the Company believes exclusion of such items provides additional information to investors to facilitate the comparison of past and present operations. A reconciliation is provided below of earnings per share-diluted in accordance with GAAP as presented in the Consolidated Statements of Income to non-GAAP financial measures, which exclude business realignment and impairment charges, NSRPE and acquisition closing and integration costs. 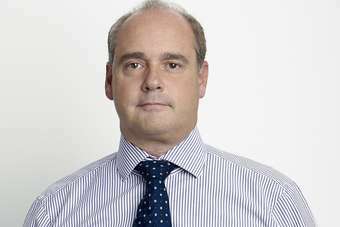 US: PepsiCo CFO: Mondelez takeover "too risky"